Stephen M. LaCagnin is Counsel in the Energy industry group, focusing primarily on coal, labor and employment, and products liability litigation. He practices out of the Firm’s office in Morgantown, West Virginia. 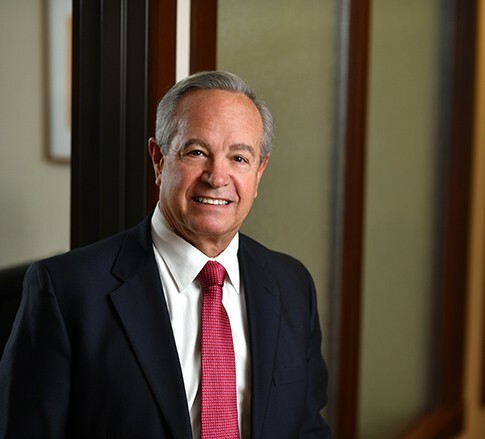 Steve has more than 30 years of experience defending clients in state and federal courts. Steve prides himself on devoting the same time and attention to all his clients, whether they are small mom-and-pop businesses or nationally-known Fortune 500 companies. While Steve's current practice primarily focuses on litigation in the coal industry, he has defended a diverse range of clients in matters including personal injury, labor and employment, wrongful death, product liability, and aviation accidents. Steve is heavily involved in the North Central West Virginia community. He has twice served as campaign chair and board president of the United Way of Monongalia and Preston Counties, President of the Morgantown Rotary Club and spokesperson for the Tri-County Well Region Initiative. He served as the Chairman of the Morgantown Chamber of Commerce Board, the Board of the Wellness Council of West Virginia and local hospital and hospice boards, the Morgantown Rotary Club Foundation Board and Your Community Foundation Board. He currently serves as Chairman of the Board of Directors of the Wellness Council of America (WELCOA). In 2012, Steve was honored by Benchmark Litigation for his work as lead counsel representing West Virginia University in the West Virginia "Case of the Year" against the Big East Conference. He has been named a West Virginia Super Lawyer®, listed in The Best Lawyers in America®, and ranked in Chambers USA Leading Lawyers. In 2002, 2003, and 2004, Steve was named one of the most influential people in the North Central West Virginia area by the Dominion Post newspaper. The West Virginia Bar Foundation named him the 2004 Lawyer Citizen of the Year and honored him as a West Virginia Bar Foundation Fellow in 2011. Steve has received the Earl L. Core Award, the highest honor conferred by the Morgantown Chamber of Commerce and given to individuals who have demonstrated outstanding ability and success in a chosen field or in a community activity.